Here at binaryoptionswire.com we have repeatedly discussed the rapid expansion of the online retail binary options industry and the fiercely competitive environment within which the binary options brokers have to compete in order to survive. We have also time and time again focused our attention and that of our readers and prospective binary options traders to new ventures in the field, especially those which appear to and indeed do provide an innovative and safe, reliable environment for traders to trade in. One prime such example we believe to be a new entrant in the scene, 24xp.com. In fact this broker has been around and it was best known among the French, or at least the French speaking, traders, since it was primarily targeted to them. However, a little over a month ago it has, as a brand name of the investment firm AMFF, obtained its license from the Cypriot regulator CySEC and it can now attract customers as a fully regulated broker, in accordance with all EU norms. Ever since, it has embarked on a relentless journey towards the improvement and expansion of its offering and it is aspiring to become the broker of choice for all EU based binary options traders. It is true that the site and the broker were in the past plagued with various disadvantages such as clutter in the interface, limited assets and limited customer service, even spelling and grammatical errors in their content. However, all these belong to the past. The revamped 24xp.com is full of innovation and freshness and their team is demonstrating remarkable drive, determination and commitment to grow, improve and succeed, for their own benefit and that of their clients. To take advantage of our exclusive bonus, simply open an account on 24xp.com by clicking on the link above. Our bonus offer will be automatically acquired. The new 24xp.com has been purposely developed to offer the best in innovation, cutting edge technology, safety, security, speed, clarity and user-friendliness. Traders can place their trades in three simple clicks in a clutter free, dynamic environment that facilitates successful trades. Intuitive and transparent the 24xp platform is also packed with added tools and features that enhance the trading experience not only for beginners in the binary options world, but also even for professional traders, all of whom have a wide range of financial instruments and performing financial assets to choose from, combine and place their trades. 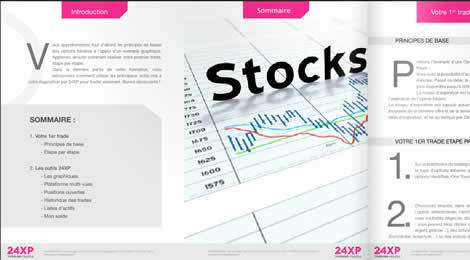 24XP claim to have developed their trading platform in order to ensure that their customers will get financial gains, with the typical return on investment being at 85%, in a fair environment without spreads, fees or commissions, giving them the freedom to trade as they choose, even closing a trade earlier than the expiry time in order to minimize potential loses. Furthermore, they place high importance on making trading binary options a fun experience, while ensuring that traders will be relaxed feeling safe and secure since, subject to terms and conditions, the payment of profits is guaranteed. Moreover, those wishing to trade on the go at all times and from all places can use the tailor made mobile platform and use the apps for their Android or iOS smartphones or tablets to trade through. 24xp offers four different account types, depending on the initial deposit amount a client chooses to commit. Each account type comes with different benefits, which obviously grow proportionally to the height of the amount being deposited, however they all grant their holders a free newsletter, access to basic training, and an e-book in pdf format. The Initial XP account type offers up to 10% bonus and requires an initial deposit of 250€, which in addition to the perks mentioned above also entitles the client to a 30 minute long coaching session over the telephone every two weeks and the first withdrawal at no cost. Moving up the ladder is the Liberty XP account type, which is in fact the favourite choice of existing traders, offering a bonus of up to 24% for an initial deposit of 1000€. The additional benefits of this account type are weekly telephone coaching sessions, as well as 2 trading signals per week via sms and two training strategies, on top of one free withdrawal per month. The next account type is the Premium XP which can offer bonuses of up to 50% for an initial deposit of 10000€. The offerings of this account type include free withdrawals, a dedicated analyst/account manager, 5 trading strategies, 4 trading signals per week and two telephone coaching sessions per week. In one is willing to initially deposit 50000€ , then they can get the Infinity XP account type, which in addition to all the perks already mentioned provides its holder with unlimited coaching sessions, unlimited strategies, unlimited trading signals and free withdrawals being executed immediately. 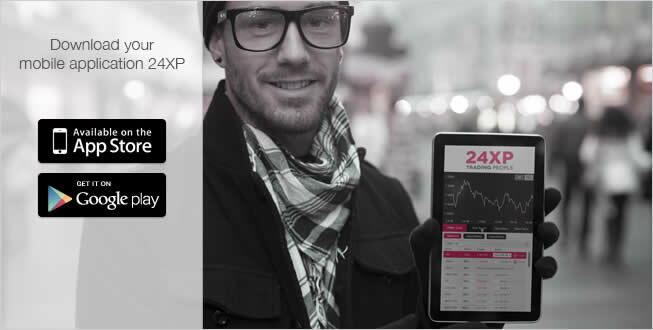 An additional plus of 24xp.com is that it offers clients the chance of creating a free demo account to test out the waters and their skills before actually committing any money to trading and risking to lose it. The deposit methods accepted are all major credit cards, such as Visa, Maestro and Master Card, as well as electronic payment via Moneybookers and MoneyGram and of course bank wires. When using a card or electronic payment the minimum deposit amount is 250€, while the minimum deposit amount when deposit via bank wire is 1000€. The currencies accepted at 24XP.com are the US dollar, the pound sterling, the Japanese yen and of course the Euro. A client chooses the currency upon opening an account and cannot change the currency at a later stage. Withdrawing funds is fairly simple once a client submits a request alongside with proof of identity and place of residence. However please note that the time required for a withdrawal to be completed will depend on the method chosen as well as the type of account held by the client. Moreover, charges apply for each withdrawal as a percentage of the amount being withdrawn according to which method is used. For example, if withdrawing through a credit card or through Paypal or Neteller the charge is 3,5%, while it Is only 2% if withdrawing through Skrill and Moneybookers. Bear in mind nevertheless that this kind of fees can be waived on occasion or even completely depending on the account type that each client has signed up for. 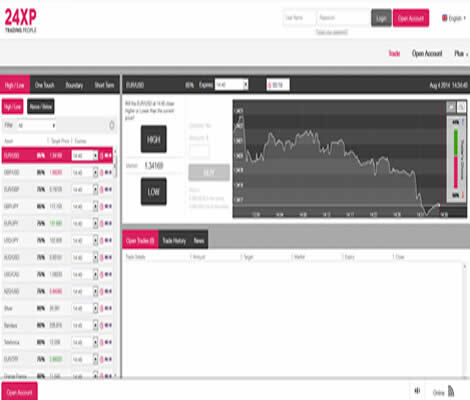 The tools available to train and educate customers on 24xp.com site range from markets news and analysts to webcasts and signals, although access to all these will depend on which type of account each trader has signed up for. Customer care and support is available via live chat, phone and email. An area that still appears to be problematic for the time being is multilingualism, since the site is only available for now in French and English and the English version is not yet fully completed. 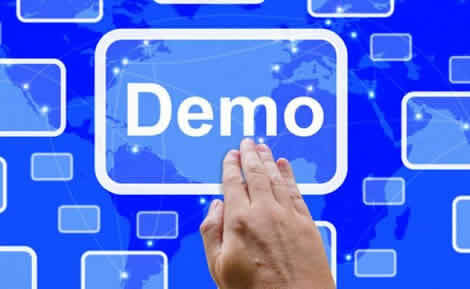 However, we anticipate that this will soon be redressed, as the site already lists local numbers for customer support in 16 different countries, mostly European, but also including Russia, the UAE, China, Canada and South Africa, where we assume that the support is given in the local language. Surely 24xp.com is still in its nativity in this new phase of its existence after having gained its status as a licensed, regulated broker. As expected it is still facing some teething problems, but what we have witnessed over the past few days is a serious commitment and a huge potential from the team behind this broker to excel and succeed. So, if you are willing and patient to gradually grow, develop and succeed with them, give them a try to see for yourselves how promising this new broker really is. Hi, do anybody can contact 24xp customer support? Looks like they are down. My account has been blocked and don’t know what’s wrong. This broker is inactive since 2 months. Do anybody have experience with this broker?